There are many different herbs out there today that promise you a lot of health benefits, but there are few that actually deliver on that claim. Green tea is one that not only makes good on that promise, but delivers health benefits in spades. Whether it being slowing down certain types of cancer, or increasing your mental performance, green tea is an over all great thing to have inside your body, and you’ll discover that as you go on to read this article. Green tea is grown and processed worldwide, but if you really want the good stuff, you need to check out the green tea from the provinces of China and Japan. It is here that the best green tea in the world is grown, refined, processed, and made ready to brew. The soil is just right, and it produces a top notch, high grade tea that is even more healthy and beneficial to the body. This has made the Chinese and Japanese green teas much more coveted around the world. You will need to be prepared to pay a premium for these teas though, because their much more desired nature increases their value. However, you will find that what you pay for is what you get, and what you get with these green teas is an incredible depth of flavor and even more health benefits. 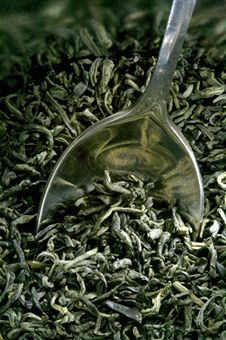 There are myths about green tea being discovered around five thousand years ago by a Chinese emperor. While that claim may be false, there are many reliable records that show tea was discovered as many as two thousand years ago, although who made the discovery is still up in the air. There are roots in the Chinese and Indian cultures as to who first discovered green tea, and both countries lay claim to the discovery. Although the truth may never be fully known, what we do know is that it was a fantastic discovery that changed the way people consumed fluids. There are also other myths out there about how green tea can dehydrate you, this is simply not true. When you drink tea, you are replacing fluids and getting a lot of antioxidants that your body needs to help fight infections, diseases, etc. There are also many different myths about the caffeine content in green tea and how it can be a bad thing, but the truth is, there is very little caffeine in green teas. There are many variations of green tea, including: black teas, brown teas, white teas, oolong teas, etc. These different kinds of teas all have unique health benefits, but they are alike in that they all help the body fight off certain types of ailments, and they have all been proven to be very healthful to humans and animals alike. Green tea is thought to have the most health benefits, simply because of the exhaustive testing done on it. Since there are many different claims being made of the benefits of green tea, scientists have spent most of their time trying to find proof to back them up. This has led to not only the proof of those claims, but many other discoveries of just how healthy green tea is. However, if you choose to drink a variation of green tea, or if you simply like another kind better, you are still going to be doing you body a favor, and you will still experience the many positive things from drinking tea. No matter where you live on the planet, the chances are good that you yourself have tried green tea, or someone you know personally has tried green tea. With its extreme popularity and widespread availability, it has become very easily accessible to even the most poverty stricken countries, and the price is usually easily afforded by those living in substandard conditions. This is a very good thing, because the many health benefits of green tea will help those living with diseases and the like. Green tea is thought to work because of the many polyphenols it contains. A polyphenol is essentially a scavenger that roams the body searching for free radicals, which are cells that can do extensive damage to the body by messing with DNA, or even causing cancer. When these polyphenols encounter a free radical, they destroy it and move on to finding the next. This means that green tea can help ward off many different types of sickness, up to and including some cancers. Antioxidants also help the body fight off and prevent many other health problems that will be discussed a little while later. With the health benefits of green tea being so blatantly obvious, it is no surprise that people like Oprah, the member of the band Led Zeppilin, Gwyneth Paltrow, and a myriad of other celebrities have been spotted drinking it. Famous people all over the globe know that drinking green tea is a smarter choice than soda, juice, or coffee, so they drink it on a regular basis, along with millions of others who do not fit into the ‘famous’ category. It does not matter if you are rich and famous or poor and infamous, you should probably be drinking green tea, simply because of how much better it is for you. The most common usage today for green tea is the bagged form. Many different companies bag their own tea, brand it, and then ship it to grocery store shelves for easy buying from consumers. While the most popular, it is not the only way to buy green tea. There are pre-made bottles that you can find with soft drinks, and that is the second most popular way of buying green tea. There are reasons to be cautious about buying green tea already made though, and some of those are brought about by the chemicals introduced to maintain freshness while shipping, and during long periods of sitting on shelves. Some of these chemicals may block the absorption of certain healthy chemicals or polyphenols when you drink it. There is also loose tea, which can be bagged by the consumer for the freshest tasting tea, and then it also comes in pill form. The pills are extremely popular in the weigh loss market for green tea, promising a speedy weight loss in no time at all. While green tea does help you lose weight, beware of claims made that talk about ‘instant weight loss’ because that is not going to happen. Of all of the above mentioned ways to consume green tea, the bagged and loose kinds are going to provide you with the best overall experience and health benefits. While there are many different claims out there today about green tea and green tea products, not all of them are completely true. Many people will say that there are studies that show that green tea can cure cancer, and that is just not accurate. Green tea does however slow down the advancement of some cancers, and it has also been known to help prevent some cancers as well. Green tea has also been used as a diuretic, which is something that helps excess liquid leave the body. It has many uses that have been passed down over the years such as an astringent, a form of flatulence control, a way to control blood sugar in diabetics, and even help lower bad cholesterol and raise good cholesterol. While not all of these claims have been ultimately supported by extensive scientific testing, it has been somewhat proven that all of these things work, if not modestly. Like an herbal supplement though, you should always consult a doctor to see what you can combine green tea with to achieve a healthier lifestyle. While green tea does not have a specific dosage guideline that you have to follow, you should be aware that like anything else, too much of it can be a bad thing for your body. If you want to maintain the optimal benefits of green tea, you should stick to 2-3 cups of it a day, which will give your body the ideal amount of around 250-300 mg of polyphenols it needs to help fight those nasty free radicals. By sticking to the amount recommended, you will find that your body will naturally cleanse itself without having to suffer through some of the side effects of green tea, to be discussed later. Your body will thank you for sticking to the recommended dosage, and it will run even better because of it. Green tea is not currently illegal in any country or province, and that is because it has become recognized worldwide as one of the healthiest things you can drink. It is a staple in European and Asian countries, and it has become very popular in the Americas as well. 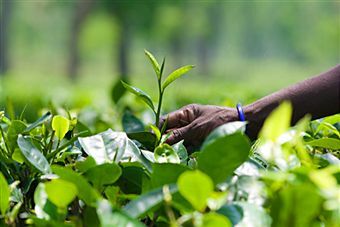 Of course, like anything else traded between countries, it has to undergo rigorous tests to make sure that consumers are getting only the best green tea that can be provided to them. While there are no side effects that come with the consumption of too much polyphenols, there are other components in green tea that can become toxic if over used. The main thing is caffeine. Green tea does not contain a large amount of caffeine, but it does have some. This means that if you consume too much of it over a little amount of time, you can experience a jittery feeling, accelerated heartbeat, headaches, and other symptoms that are linked with a caffeine overdose. If this occurs, discontinue use and see a doctor about the issues. As always, if you are sensitive to or allergic to anything that green tea contains, you should consult a doctor before starting to drink green tea even casually. This will help keep your body healthy, even if it means missing out on the many benefits of green tea. The availability of green tea has increased exponentially in the last few years. You can not only find in on the grocery store shelves, but you can find it on the internet and in specialty stores across the world. In some countries they have tea markets that are specifically devoted to nothing but tea, and in the US, there are entire stores committed to bringing you nothing but the finest teas. No matter where you choose to shop for the green tea you desire, you are going to find varying prices that depend on the season, the quality, and the amount of green tea you are looking for. In most cases, the bagged teas you find will be anywhere from $5 USD to $15 USD for a package that contains 15-25 tea bags. If it is green tea pills you are after, you will find that a bottle of 30-45 pills usually costs you anywhere from $5 USD to $20 USD. Once again, ideally you need to stay away from any pill or bottle that promises you fast weight loss, because more than likely they have added caffeine and other chemicals which would decrease some of the healthy benefits of green tea. In closing, it is very important to note the amazing health benefits of the green tea leaf. There are too many to number, and they are increasing daily with the scientific studies that continue to show us how this plant can enrich our lives. If you have not yet experience green tea for yourself, you should try some as soon as possible. You’ll find that they only thing you like better than its delicate flavor is how good it makes you feel after you rink it. These feelings combine to make it one of the most popular drinks in the world, second only to water. So run down to your local market or hop online to order some today. You won’t regret it, and your body will thank you. My daughter is 13yrs old. And she likes to drink green tea. Is there a limit for her, I would like to know. Please help me?